Camps run Monday through Friday from 9 AM to 3 PM. Drop off is between 8:30-9 AM; pick-up is at 3 PM. There is an option to pay for aftercare til 5:30 PM. To pay for summer camp, please follow this link. One22 administers need-based scholarships for the Jackson Hole Historical Society and Museum. 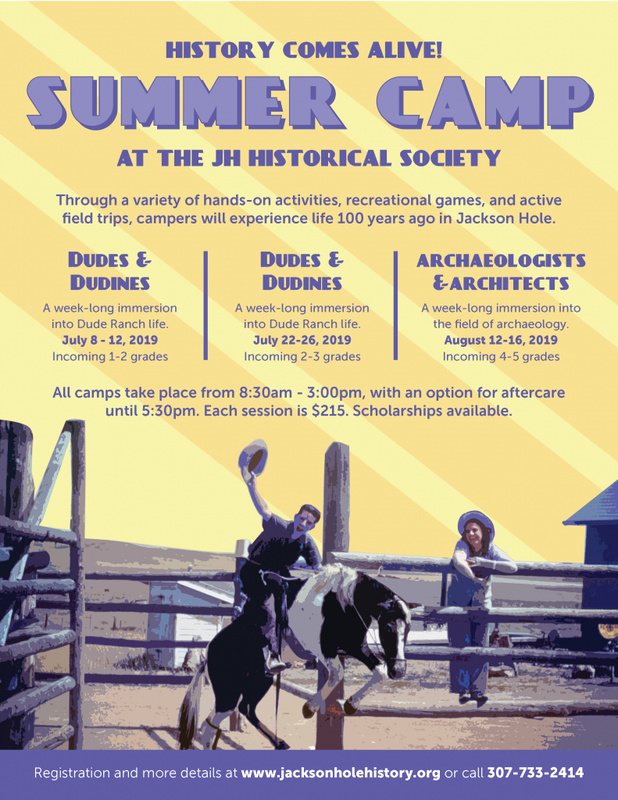 For more information on scholarships, including a scholarship application, please contact frances@jacksonholehistory.org or call 307-733-2414 for more information. We will refund your camp fees up until two weeks prior to your camp week with a 10% processing fee. Registration will not be considered complete until you have filled out the entire form and paid in full on the additional website link. Please fill out a new form for each child and week of camp! There will be waitlist if the camp is full please email Frances at frances@jacksonholehistory or call to be placed on the waitlist. See FAQs for additional information. Photo release and liability waiver form need to be filled out before the first day of camp. Please feel free to call or email us with any further questions at 307-733-2414 or frances@jacksonholehistory.org.